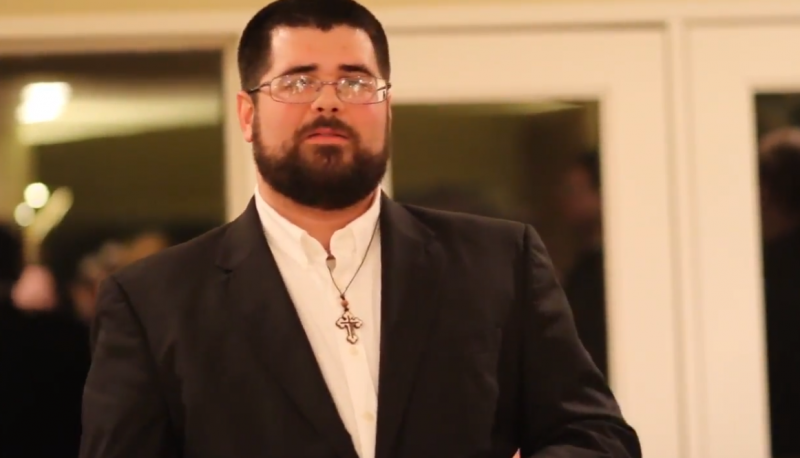 Matthew Heimbach got a new job at a neo-Nazi organization with whom his now-defunct Traditionalist Worker Party organization shared an alliance before his group’s disintegration. Heimbach was once the leader of one of America’s most high-profile neo-Nazi organizations, Traditionalist Worker Party, before a love triangle affair caused the organization to implode. Heimbach was arrested in March and recently took a plea deal after he violently attacked his spokesperson and father-in-law David “Matt” Parrott, who had confronted Heimbach about the affair Heimbach was having with Parott’s wife. After Parrott’s departure and Heimbach’s public humiliation, the Traditionalist Worker Party was absolutely devastated. Many within the white nationalist movement ridiculed Heimbach relentlessly, making him the subject of memes and even writing a fascist parody song about his quandary. After a summer in jail for disorderly conduct at a Trump rally in 2016, Heimbach reportedly resurfaced in Southeastern Tennessee, looking to re-engage with the white nationalist political scene in the area. After meeting with members of the local Democratic Party and reportedly telling officials that he wanted to “retake Southern Tennessee for traditional Democratic values,” Heimbach has returned to his roots within the white nationalist movement at the unabashed neo-Nazi organization National Socialist Movement. On a National Socialist Movement radio show yesterday, Heimbach expressed his excitement about working with the organization. One host joked that he felt “kind of Jewish” for working with Heimbach. Another host said he was happy to see Heimbach return to the movement.